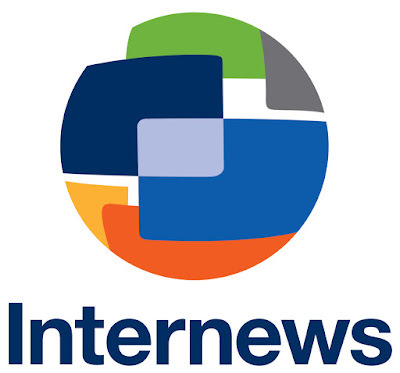 In collaboration with Aliansi Jurnalis Independen (AJI) and private sector partners, Internews plans to implement a pilot project to strengthen the capacity of Indonesian journalists. The project will include awareness-raising events, training of trainers, and in-depth training programs on Google tools and online verification for journalists across the archipelago. Under the supervision of the Regional Director in Bangkok, the Project Coordinator oversees implementation, monitoring and evaluation of this pilot initiative. The Project Coordinator will serve as a roving resource to trainers and end-users throughout Indonesia, and will liaise with key partners to organize project activities and ensure smooth implementation. Note: This post is location specific, therefore candidates must already have the legal right to live and work in Indonesia. Oversee the management and successful implementation of project. Oversee sub-grants to partner organizations, including budgets, timelines and reporting, and to participate and assist in the completion of such tasks as required. Ensure financial compliance oversight with the Bangkok-based Finance Manager and timely spending of program budgets, reporting to and working with the Business Manager and DC-based Finance Officer weekly and monthly. Ensure top level M&E, and cutting edge reporting continue to be built and maintained in coordination with regional and HQ M&E staff. Prepare proposals and reports for donors, assign and supervise additional support to complete such tasks. Coordinate communications and workflow among staff and partners. Coordinate and supervise as needed consultants from any register, roster or to fulfill specialist and programmatic support to projects. Participate in meetings and facilitate communication with primary donors directly or in concert with the Regional Director. Represent organization at various conferences and events, coordinating with the Regional Director on coverage and needs. All such other tasks as may be assigned to contribute to a complimentary approach across all projects in the region. 5+ years programmatic experience including project management experience. Previous project management work experience. Experience with internet and tech-related projects a significant asset. Experience in developing or supporting international programs. Report and proposal writing experience, and proven text-editing proficiency. Proven ability to prioritize and handle multiple on-going assignments. Proven analytical and problem-solving ability. Proven ability to coordinate, manage and motivate staff and healthy ad hoc teams as needed. To apply, Please Visit Our Career Center.